You are currently browsing the tag archive for the ‘Field growing’ tag. I have just got back from a weekend at a friends place, Shibui Bonsai. Shibui Bonsai is located in North east victoria about 3 and a bit hours from Melbourne and specialise in ground grown stock. I try to head up each year to help Neil (the owner) dig a few rows of tree out of the ground. Neil grows a range of species and this year we dug Tridents, Chinese Elm, Japanese black Pine, and Japanese Maple. 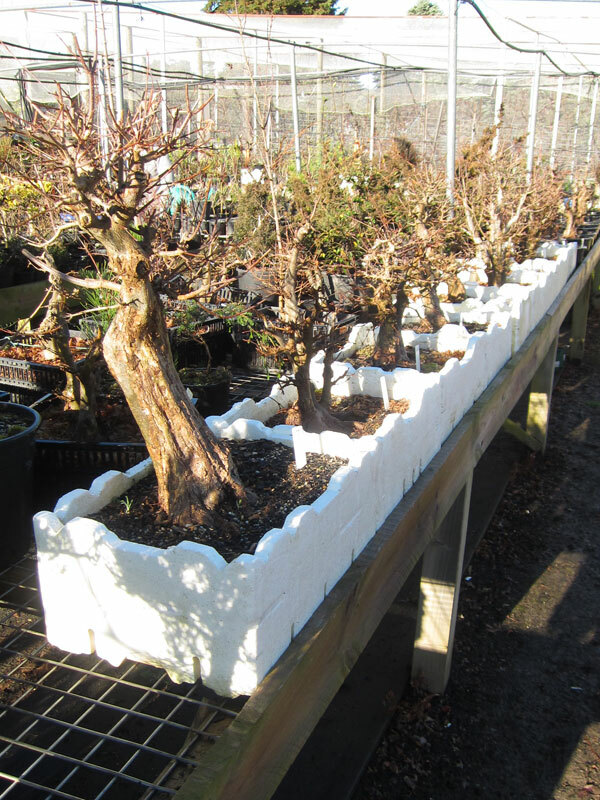 In some of the other rows Neil had Chinese Quince, Shimpaku and a range of other desirable bonsai species that will probably come out after another season. Matt swinging a shovel while Neil prunes the dug trees. Having been up over a number of years now it has been great to see how trees develop over time. 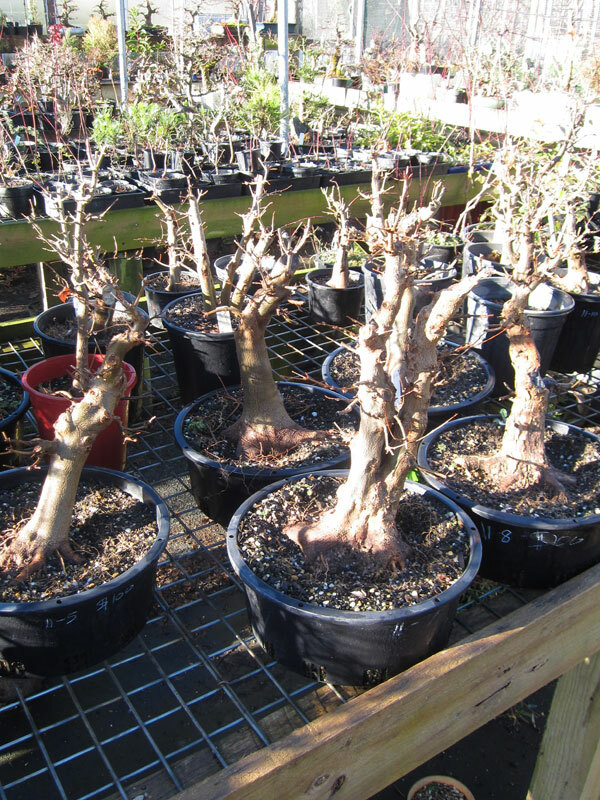 As trees are dug and pruned, they are sorted into those that might need to go back in the ground for another year and those that are ready to begin their life as bonsai. The digging went quickly this year as the trees had only been in the ground for a season and as a result didn’t have many large roots. The trident maples had really nice compact root-balls and as did the black pines which was a nice result and should make for them establishing into training pots much more quickly. 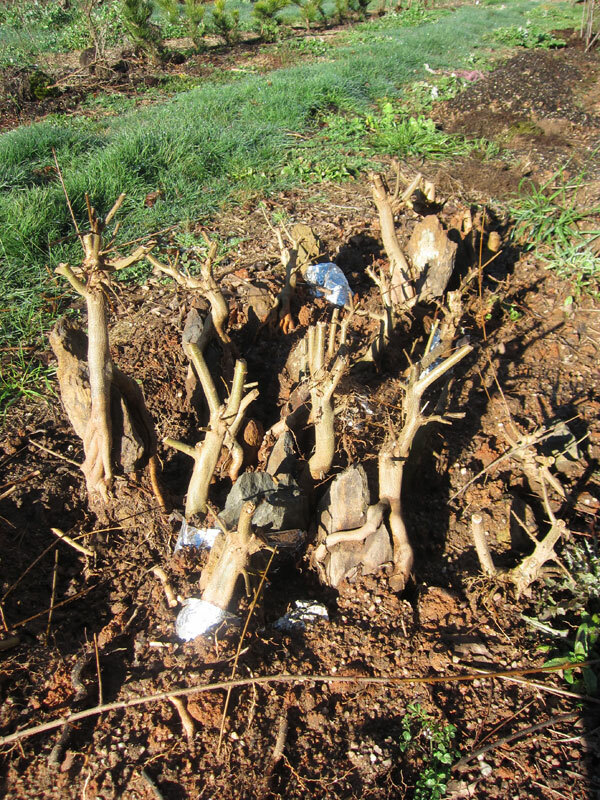 A batch of root over rock tridents, root and top pruned waiting to be potted up. 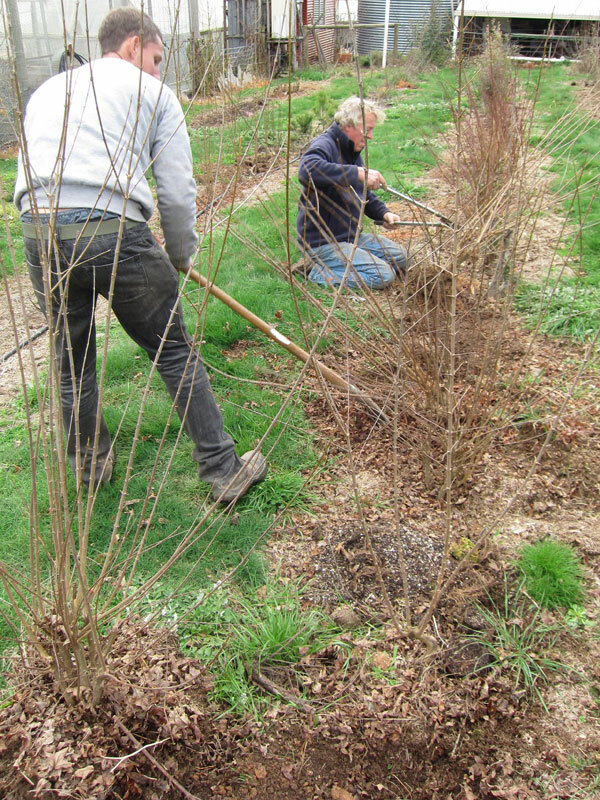 At this time of year Neil likes to dig the trees, prune them and then heal them back into a growing trench where they will happily sit dormant until they are potted up in a few weeks time. Once potted up they spend around a year re-establishing themselves in the new pot before becoming available for sale. Last years Tridents on the sale benches. 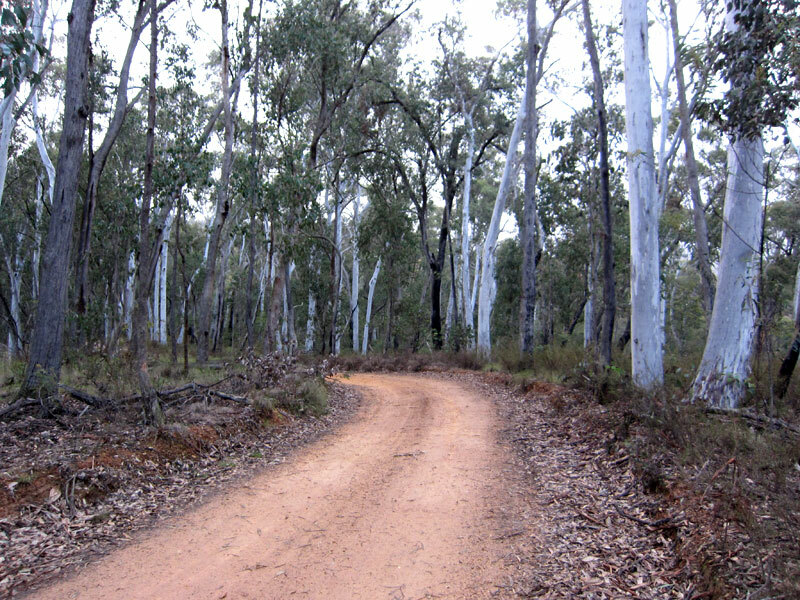 Once we had finished the day’s digging we went for a drive into the local forest to have a look at a few things of interest. We checked out the old gold diggings while looking for native orchids in amongst the leaf litter. I think some of the native orchids would make excellent accents. Neil pointed out a few of the colony forming species as the most suitable and easy to grow. It is illegal to collect them from the wild but luckily they are available from local growers if you can hunt them down. I will definitely be keeping my eyes out for a few in the future. The beautiful white trunks of the Brittle Gum. I always enjoy heading up to Neil’s place. It’s a beautiful part of the country and it just happens to have an excellent grower there as well. If you are interested in visiting Neil’s Nursery I believe you can via prior arrangement. His details are found on his website: http://shibuibonsai.com.au/ For those that can’t make the drive to his place, he does also sell regularly as local club shows and will be at the Bonsai society of victoria’s show this October.